Shores, dunes, stream margins, ditches, only rarely on dry ground; forms large dense thickets from extensive root systems. 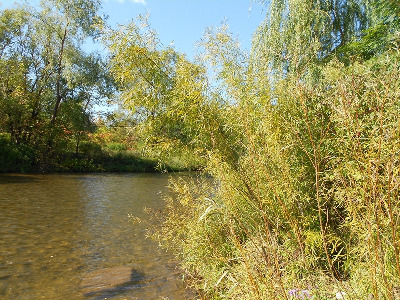 This is one of our most distinctive willows in its remotely toothed leaves. The leaves are ± densely silky and also tend to be broader in a form that usually occurs only on dunes and other sandy sites, f. wheeleri (Rowlee) C. Reed, named for Michigan's accomplished field botanist, Charles F. Wheeler (1842–1910). MICHIGAN FLORA ONLINE. A. A. Reznicek, E. G. Voss, & B. S. Walters. February 2011. University of Michigan. Web. 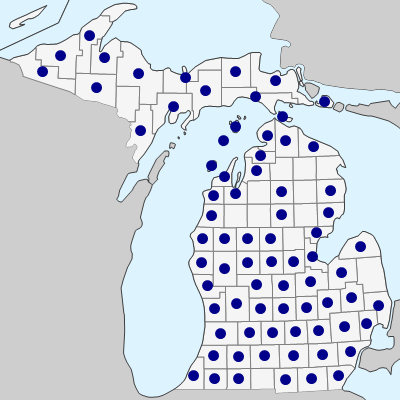 April 19, 2019. https://michiganflora.net/species.aspx?id=2627.